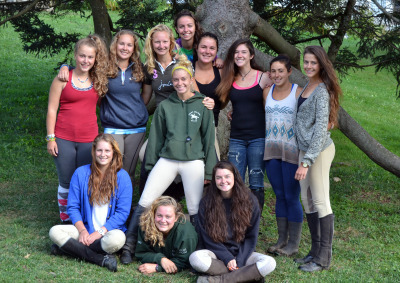 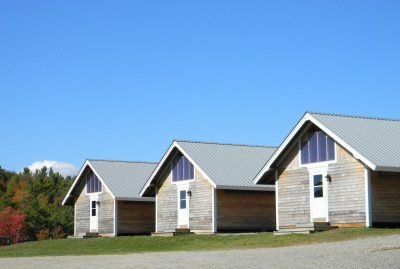 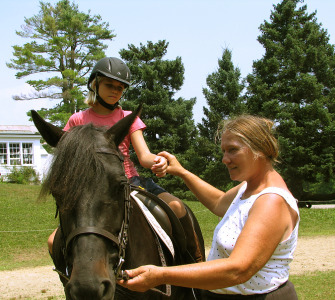 Road's End Farm is a small summer camp that appeals to girls who love being around horses, caring for them, and riding for enjoyment rather than competition. 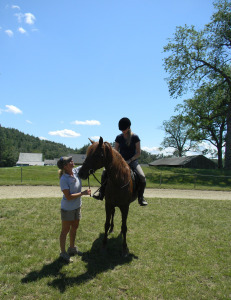 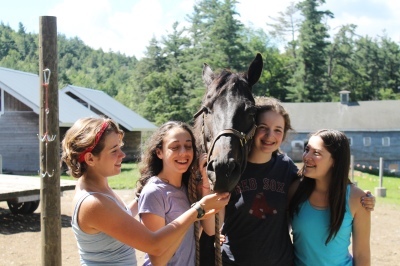 Being an integral part of a 360 acre farm with 60 saddle horses, the camp program provides campers with unlimited exposure to horses and rural life in a picturesque setting at the end of a quiet road. 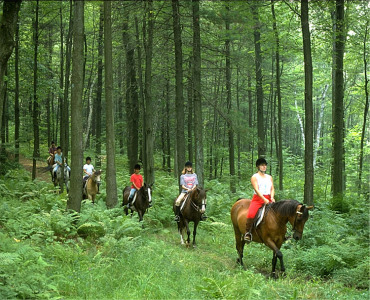 The farm's four riding rings, twenty miles of bridle paths, and capable staff enable riders from rank beginners to accomplished equestriennes to improve their English riding skills or to just ride for the pleasure of doing so. 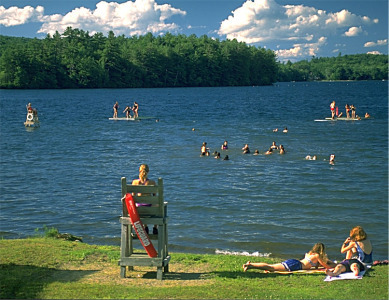 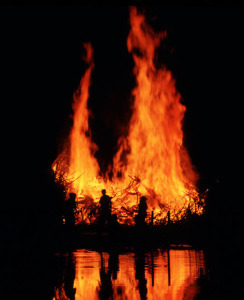 With shore frontage on a lovely spring-fed lake as well as on the meandering Connecticut River, the camp also offers swimming and canoeing under the watchful eyes of Red Cross Lifeguards and Water Safety Instructors. 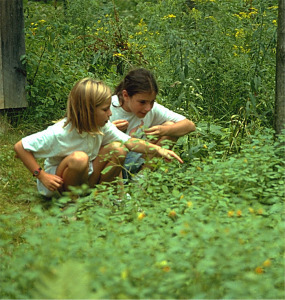 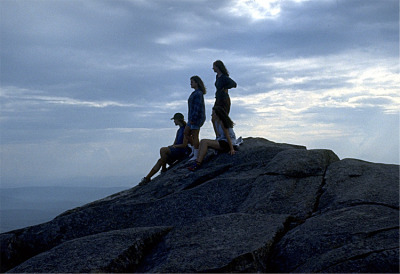 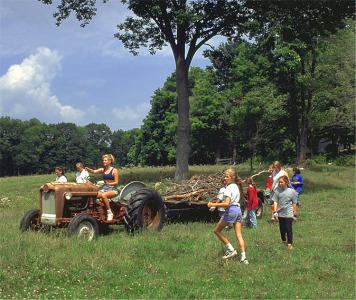 Although well supervised, camp life is lightly structured and decidedly noncompetitive to ensure a close-knit family atmosphere wherein every camper counts and in turn is counted upon. 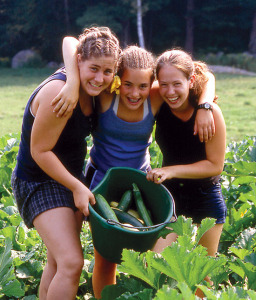 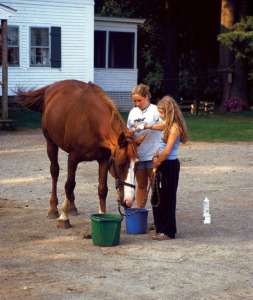 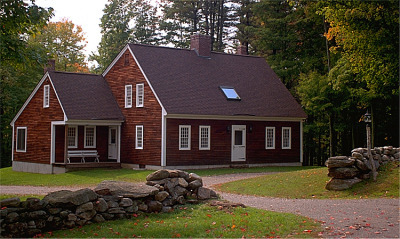 Under the stewardship of the same family since 1945, Road's End Farm exists nowadays solely for the delight and betterment of 8 to 16 year old girls who have an abiding interest in horses, a yearning for wholesome country living, and a willingness to roll up their sleeves and cheerfully help out with the chores. 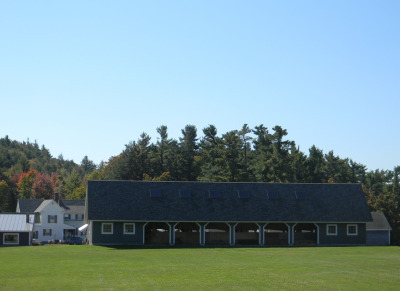 Please contact by phone (603-363-4900) or email ([email protected]) for inquiries.